Let me start this by saying that I am welllll aware that Beyoncé is a touchy subject. Either you think she is one of the most hyped-up singers on the planet or you are bowing down and ready to get in Formation. However, regardless of your crazy in love-booty shaking-dance abilities I think it's fair to say that recently, people have been talking more about Beyoncé's political stance than her world tour. The #blacklivesmatter campaign is something which Beyoncé has helped greatly to spread worldwide, thanks to her being so vocal about it. Her album 'Lemonade' is largely about the suffering black people have had to and still endure on a sadly, regular basis. Her song 'Freedom,' which she recently performed at the BET awards, powerfully highlights the way in which black people are treated by the police. 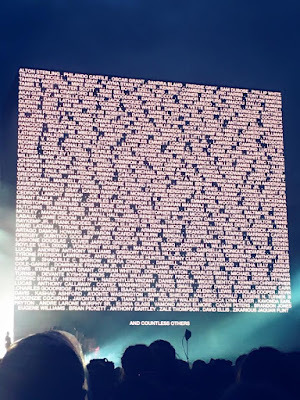 I recently attended Beyoncé's Formation Tour at Hampden stadium in Glasgow the day after the deaths of Alton Sterling and Philando Castile, both of whom died at the hands of the police in circumstances which should never have resulted in either one of them dying. 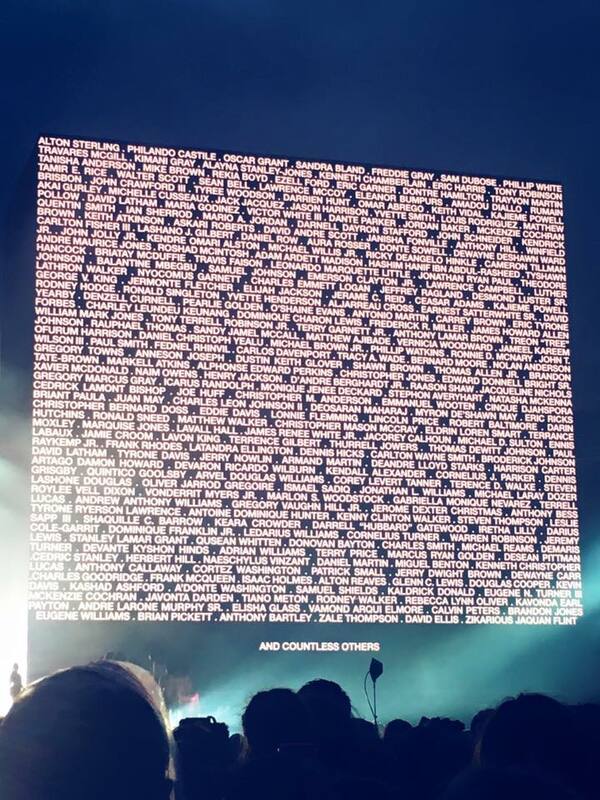 That night in Glasgow, before she performed 'Freedom,' Beyoncé gave a powerful speech about why all lives matter followed by a minutes silence to honour the lives of both Sterling and Castile. For me, living in a country were gun violence is virtually non-existent, it's hard to imagine what life must be like living in fear of being shot by the people who are supposed to protect you. It's also hard for many to imagine what it must be like knowing you have a higher chance of being killed by the police because of your skin colour. Racism is something hard to imagine if you haven't experienced it yourself but that does not mean in any way that it should be ignored. The point is that Beyoncé has managed to use her fame to bring to light issues that should matter more to not only people in the U.S. but to people globally. Fair enough, the campaign had already been trending on twitter but Beyoncé has managed to make it reach people that may not have read about it otherwise. I'm lucky enough to come from a generation who want to make a change, a generation who do not like to see others suffer and a generation who are hopeful for a future of equality for all. It's important for people like Beyoncé who have such a powerful influence on so many people to use their voice not just to sing their greatest hits but to help share campaigns such as the above with their fans, who together can help make the change.